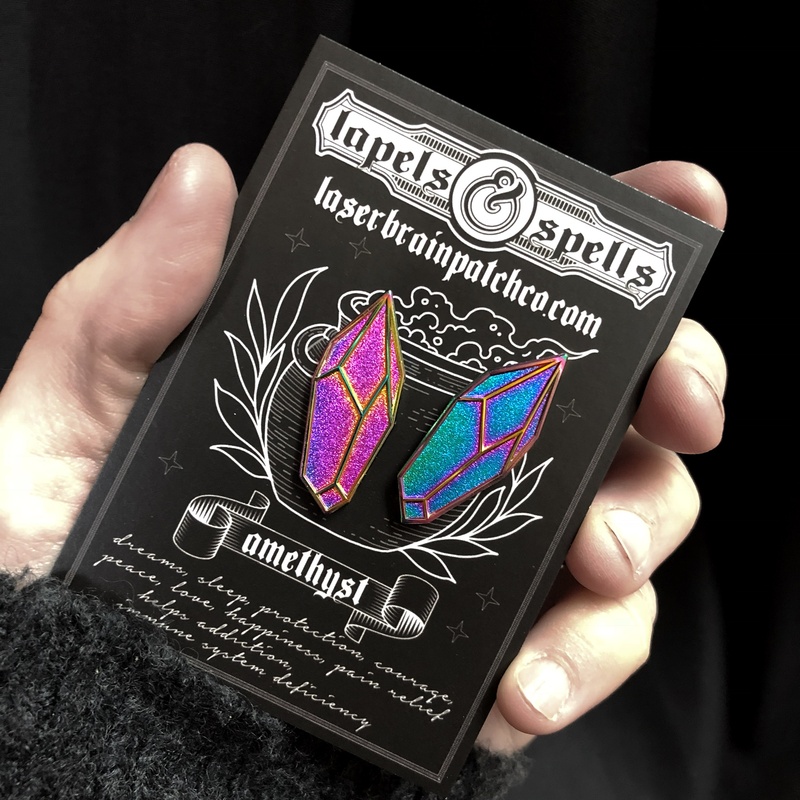 These pins are meant to symbolize the magical properties you want to bring into your life, and be a visible reminder for help and strength. Its about 1” tall and a rainbow colored metal. Because of the process used to make these, colors vary. I can not gaurentee any specific colors. There is no enamel on this pin. Metal only. . Magical properties and uses for amethyst; dreaming, sleep, protection, courage, peace, love, happiness, pain relief, helps with addiction problems, immune system deficiencies.